“….I welcomed the freedom to seek out my own placement and I was rewarded with an exciting new experience, working with the United Nations Climate Change (UNFCCC)….. The ASET Student Competition is launched each year at the ASET Annual Conference, and is open to students at all ASET member institutions. To encourage the next cohort of placement students, ASET sponsors this annual competition to highlight what students have gained from their recent placement or internship. We are looking for short accounts (no more than 900 words) that articulate the value of work experience, clearly express the value of the learning, and do so in a lively and enthusiastic manner. 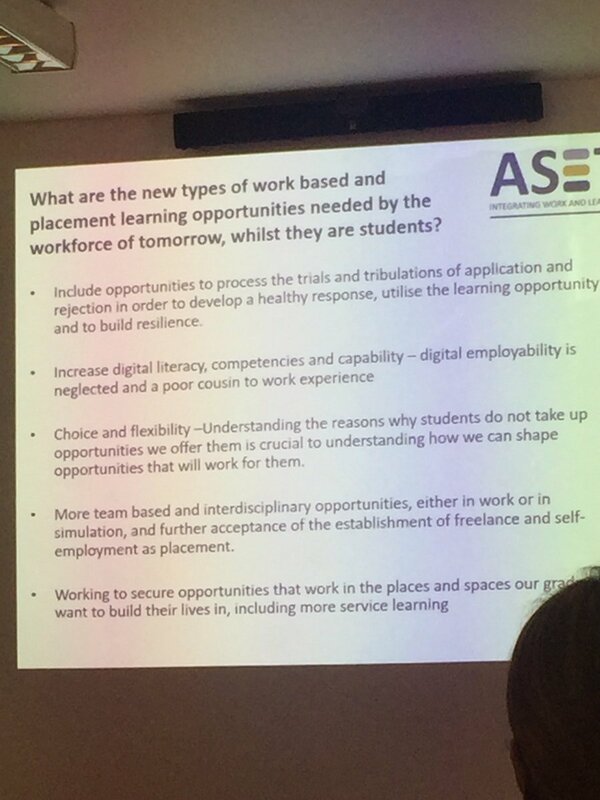 The competition allows students to reflect on the impact their placement experience has had on their personal development and future plans, and to reflect on how it relates to their academic studies. The 2019 competition will open on 16th September 2019. Entries must be submitted via email to the ASET Office using the 2019 ASET Student Competition entry form, which will be available to download in September.